IGLS, Austria — After just two training runs during the week while battling the flu, Elana Meyers Taylor mustered a bronze medal finish in Saturday’s women’s bobsled World Cup in Igls with Sylvia Hoffman. Brittany Reinbolt teamed with Jessica Davis for seventh place. While many teams would be celebrating a medal finish, Meyers Taylor was disappointed with Saturday’s result. Even though she was in the hospital during the week because she was so ill, Meyers Taylor didn’t lessen her expectations for the race. Her last World Cup win was the January 2018 World Cup in St. Moritz, Switzerland with Lolo Jones, and Meyers Taylor is on a mission to get back to the top. Meyers Taylor only pushed during training, yet she and Hoffman powered the BMW sled off the start block in 5.55 seconds for the second fastest push time of the first heat. Meyers Taylor had the track dialed in, speeding to the finish in 53.04 seconds to threaten the three-year track record of 52.94 set in February 2016 by Germans Anja Schneiderheinze and Annika Drazek. Meyers Taylor and Hoffman had company as they vied for the medals; three German sleds were within 0.16 seconds after the heat, with reigning Olympic champion Mariama Jamanka and her partner Kira Lipperheide just 0.05 seconds away. Stephanie Schneider and Ann-Christin Strack were 0.06 seconds off the pace set by Meyers Taylor and Hoffman in the first heat. 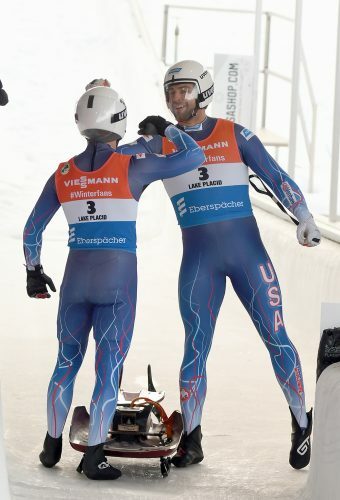 Hungry to advance in the medals, the German duo posted a 52.96 in the final run for the fastest time of the race to reach the top of the leaderboard with a combined time of 1:46.06. Jamanka and Lipperheide fell behind their teammates, but remained in second place with a total time of 1:46.17. Meyers Taylor and Hoffman had an even faster start time of 5.52, but some small mistakes down the course resulted in the third best downtime of the heat. The Americans claimed bronze with a two-run total of 1:46.23. Meyers Taylor hasn’t been off the podium since she was disqualified for an underweight sled in the season opening World Cup race with Hoffman. She’s earned a silver and two bronze medals leading into the weekend with Lake Kwaza. Igls has historically treated Meyers Taylor well. 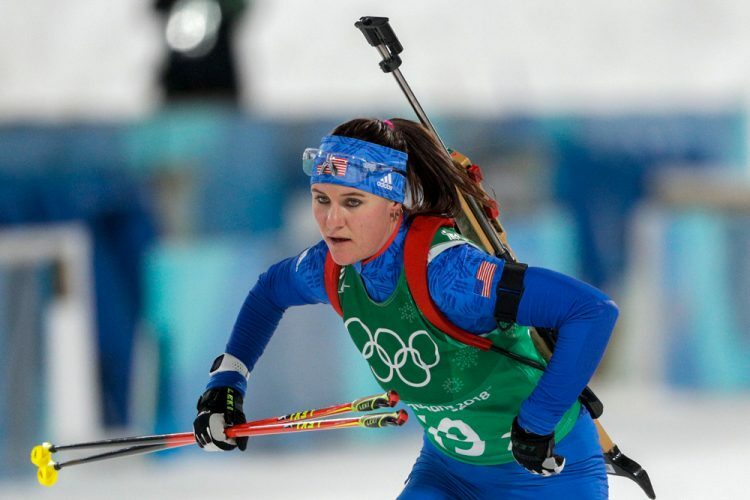 She’s claimed five medals in the six World Cup races she’s entered on the Igls course, including Saturday’s bronze, and earned the 2016 World Championship bronze medal on the Austrian track. Reinbolt and Davis finished seventh with a combined time of 1:46.86. The duo clocked a start time of 5.63 in the first heat, and they matched their time in the second heat despite Reinbolt’s foot getting caught on the side of the sled while loading. Reinbolt piloted the crew to the finish in 53.32 and 53.54 seconds to finish just 0.12 seconds from the top six. Reinbolt’s personal best result in Igls before last week was sixth place, which she posted in both the 2011 and 2017 World Cups races. Saturday was only Davis’ second World Cup start. IGLS, Austria — Justin Olsen and Josh Williamson tied their teammates Codie Bascue, of Whitehall, and Hakeem Abdul-Saboor in a three-way tie for 17th place in a hard fought two-man bobsled World Cup race Saturday in Igls. Russians Maxim Andrianov and Ilya Malykh also finished 17th with a total time of 1:44.11. Olsen and Williamson were in 10th after the first heat, but fell back in the second run. Olsen and Bascue put in a good effort on a track they have limited experience on. This is Olsen’s third World Cup start in Igls as a pilot and Bascue’s fourth. Olsen has yet to post a top 10 finish this season. He’s finished 16th, 17th, 18th and 19th so far in two-man World Cup races this season. 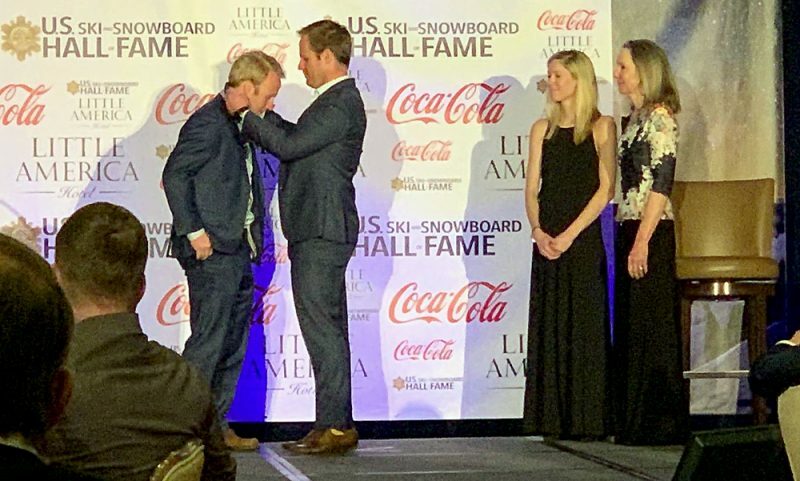 Olsen and Williamson were in the running for a top 10 finish after powering the Lake Placid World Championships 2021 sled off the start in 5.14 seconds and sliding to the finish in 51.88 seconds. They sat in 10th going into the final heat amongst a tightly packed field. Only 0.13 seconds separated Olsen and Williamson from sixth, but teams seated behind them after the first heat were equally as close. Olsen and Williamson put together a second heat start time of 5.17 and Olsen let the sled run a little too loose, resulting in a time of 52.23 seconds to fall back into 17th. Bascue and Abdul-Saboor were already tied with Andrianov and Malykh at the finish, creating a three-way tie. Bascue and Abdul-Saboor posted starts of 5.14 and 5.18 seconds for runs of 52.04 and 52.07 seconds, respectively. Bascue didn’t make any huge errors, but small mistakes added up throughout the course to the finish. Germany’s Francesco Friedrich and Thorsten Margis were once again victorious with a combined time of 1:42.85. Johannes Lochner and Florian Bauer secured yet another medal for Germany by finishing second in 1:43.00. Latvia’s Oskars Kibermanis and Matiss Miknis were third in 1:43.19. IGLS, Austria — Codie Bascue and his four-man bobsled crew of Josh Williamson, Jimmy Reed and Hakeem Abdul-Saboor capped the Igls World Cup with a 13th place finish. Justin Olsen and his crew of Blaine McConnell, Chris Kinney and Kyle Wilcox narrowly missed the top 20 cutoff for the second heat by 0.03 seconds with a run of 51.46. The team posted a start time of 5.13 seconds for the 12th best push of the heat. The four-man race concluded the Igls event. The World Cup tour will make its sixth stop in St. Moritz, Switzerland this week before moving to North America for the final two races and World Championships.